If the golden rule of writing is “show, don’t tell”, then the equivalent for game development is surely “feel, don’t show”. The greatest strength of video game storytelling is the ability to make the player an agent: for the actions they take to affect the overarching narrative, and inversely for the overarching narrative to affect the player. This ethos is manifested by Kept, a VR exploration title from the ambitiously named S1T2 (Story 1st, Technology 2nd), based in Sydney. Promising to be a deeply emotional game about letting go, Kept guides the player through a series of surreal rituals to create an interactive representation of loss. I managed to have a chat with S1T2’s creative director, Janathan, and art director, Eve, about the various influences and design choices which went into Kept. Currently being developed for the HTC Vive, Kept is mechanically a room-exploration adventure game, where player progression is guided through the completion of puzzles. Each room has a variety of objects which can be manipulated by the player to affect their surroundings, and each puzzle resonates with the game’s key narrative themes. Kept makes the most of the Vive’s room-tracking features, allowing players to really explore an imagined space and to feel like they are undertaking a journey through a wide variety of environments. The Vive is, in some regards, the perfect platform for S1T2, which is a team that has a lot of experience making interactive, digital displays but have yet to design a traditional video game. Kept makes the most of the privilege of being able to explore a space and manipulate it using physical movement. It’s something which simply would not work with a TV screen and controller. The team at S1T2 respects the VR medium greatly, evident through the careful, deliberate choices made in designing the world the player will inhabit. Kept’s visually striking art style goes a great length into drawing the player in, featuring a muted palette of blues and greens with intermittent splashes of bright, warm colours. 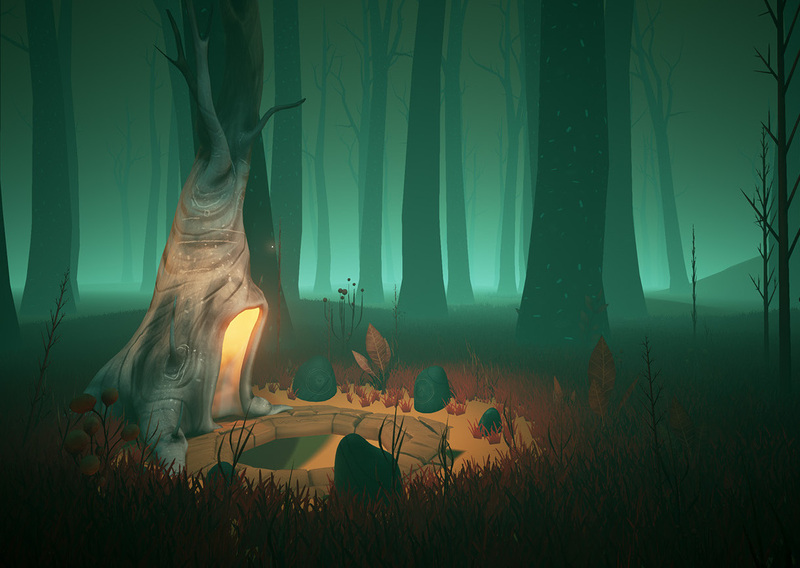 The demo was largely situated in a forest with a hollow tree as the centrepiece: an environment which was unfamiliar and yet somehow inviting. Eve explained that careful deliberation was taken with the atmosphere building as S1T2 are not setting out to make a scary experience, although they want to make the player feel uncomfortable at times. Kept is also a distinctively non-verbal game, instead relying upon symbols and metaphors to reach the player on a subconscious level. The designers looked at a wide variety of sources before developing the language used in Kept, leading to a design hybridising elements of tribal artwork with science-fiction inspired iconography. The symbols make the game world feel vibrant, leading to some great discovery moments when all the information in the environments come together and makes sense. In these moments, the player begins to feel as if their story is a mere piece of something much bigger. The one thing will definitely set Kept apart however, is not symbolism of visuals but rather symbolism of actions. The narrative is not told through the things the player sees – it’s woven through what the player does. In solving the puzzle of the demo, I watched a firefly dance around me, deftly caught it in a jar, felt its warm light on my surroundings and finally set it free. The puzzle itself was the metaphor for dependence, and S1T2 are determined to use puzzles as a conduit for storytelling, rather than an arbitrary means of adding interactivity to their game. If they are able to continue building in this direction, S1T2 will be able to ship a game which carries a lot of emotional weight. Janathan cites the work of thatgamecompany, particularly Journey, as a big inspiration on S1T2’s work. Journey’s minimalism is definitely recreated within Kept, with both games having a respect for environmental storytelling and the player’s intrinsic desire to explore. In both games, it’s a humbling experience to just stop moving to look around and really take in the richness of the location. 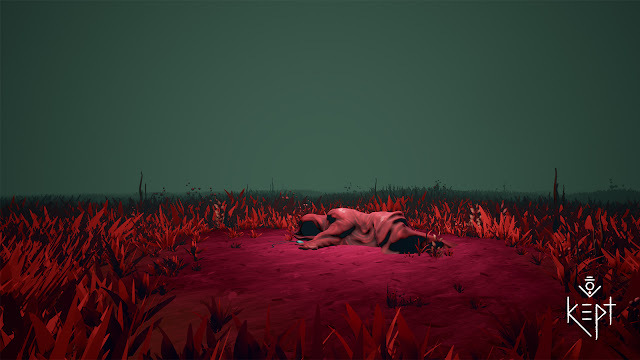 As a result, the player is put into a quiet, reflective mood which perfectly complements S1T2’s desire to make the player feel something unique. It’s likely that with the adoption with VR into the mainstream gaming consciousness, the walking simulator will become an even hotter genre as the immersion achieved from VR is a powerful tool in the hands of first-person storytellers. Kept, perhaps, is a step even further ahead. In completing the game’s puzzles, the player is able to parse truth from symbols; to find themselves lost in the deserted woods; to feel what it really means to cope with loss. For fans of narrative games, S1T2 is certainly a studio worth looking out for.